The middle rung of the Mazda Road to Indy Presented by Cooper Tires open-wheel driver development ladder, the Pro Mazda Championship Presented by Cooper Tires, will gain a significant upgrade in 2018 with the introduction of the brand-new Tatuus PM-18. The prototype car was unveiled today during the annual Performance Racing Industry Show at the Indianapolis Convention Center by Dan Andersen, Owner/CEO of Andersen Promotions, John Doonan, Director of Motorsports for Mazda North American Operations, and Chris Pantani, Director of Event Marketing and Motorsports for Cooper Tires. 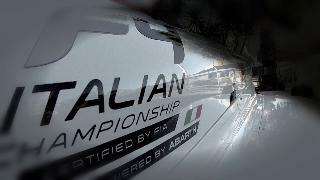 Tatuus at the end of 2013 is selected by the FIA ​​in order to realize the new FIA F.4 car, that will debut in the Italian Championship 2014, will be the first car F.4 FIA. In 2015 also the German Federation Adac decide to use F.4 Tatuus cars, as well the new Championship NEZ (North European Zone). In 2016 another two Championship FIA F.4 will be added: the Spanish Championship and UAE Championship. Not only are we in the middle of celebrating an incredible decade af racing history, we're already planning an exhilarating future of motorsport. Great opportunities for our up and coming talented young kiwi drivers are at the heart of this excitement pitting them against the best in the world. Stay tuned on the latest news of Tatuus. Media reports and a magazine entirely dedicated to our company.